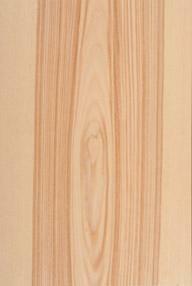 The choice of tree species that are suitable for quality wood veneers is wide, each offering a different finish. We use all the popular varieties of species that you would expect including oak, beech, mahogany, maple and walnut, but the choice is far from limited to those. 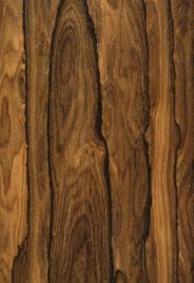 There are thousands of species of tree that work well as decorative wood veneers. Here we put the spotlight on some of the more unusual choices of natural wood veneer species for your inspiration. American Walnut: This is a beautiful natural wood veneer which has a lovely warmth to it, often with yellow or purple-brown hues. American walnut logs are mostly straight-grained, occasionally with a wave and normally flat cut which results in a good deal of material suitable for crown cutting, perfect for high spec interior joinery and high end furniture. Olive Ash: Maturing ash trees will sometimes develop a brown hued heart. The natural wood veneer that comes from this is called the Olive Ash and occasionally you’ll get a striking ripple figure. When the white wood bordering the heartwood is left on the veneer, an eye-catching two tone effect is achieved. 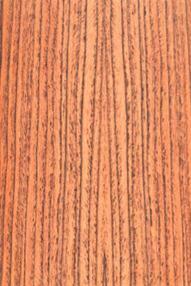 Malaysian Tigerwood: This is a highly desirable natural wood veneer sporting a warm red-brown hue with almost black lines throughout. Rift cutting accentuates the stripy effect, which gives this veneer its name. It’s an excellent choice for distinctive furniture. Ziricote: This is an exotic species that resembles rosewood. It’s extremely heavy and usually grey-brown to dark brown with irregular streaking in a darker shade, giving the effect of an almost three dimensional surface. A stunning effect can be achieved by incorporating the light creamy hued sapwood. Something truly special for handcrafted cabinetry and interior joinery. These are just a very small selection of the exotic species available at Read Veneers in Essex. We can help you choose the perfect natural wood veneer for your project from the extensive collection we have access to, and will work with you to select the most effective cut and matching technique for the ultimate in design effect. Get in touch to talk through your project. 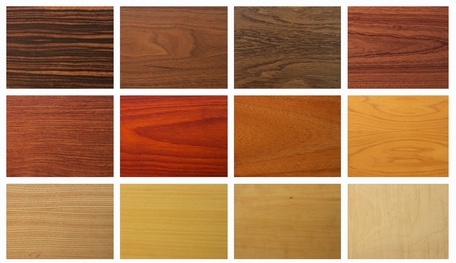 or take a browse through our A-Z list of real wood veneers.